Mrs Eske received one of our leaflets through the post and contacted us for a quotation for roofline and External Wall Insulation. Sam, one of our park home surveyors, made an initial visit to carry out a detailed assessment and answer any questions she may have had. 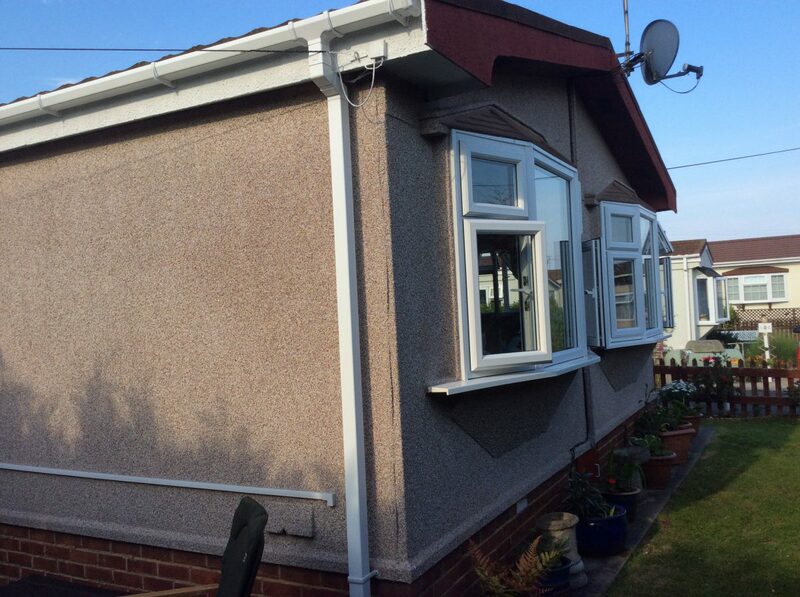 Mrs Eske required External Wall Insulation and new fascias and soffits to ensure there were no leaky areas around the edge of the roof. This was a straightforward install. 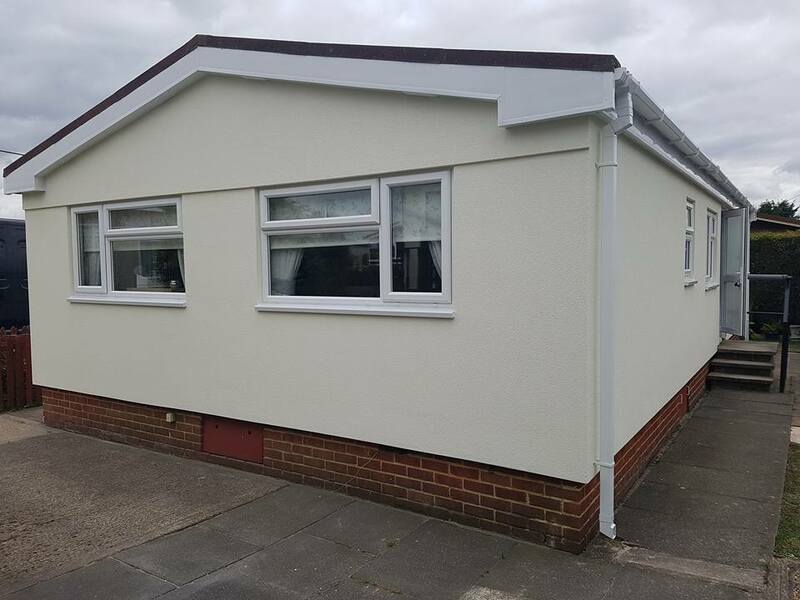 Mrs Eske chose to have white fascias and soffits to provide a clean look and this complemented the pale cream colour she chose for the external wall insulation top coat perfectly. 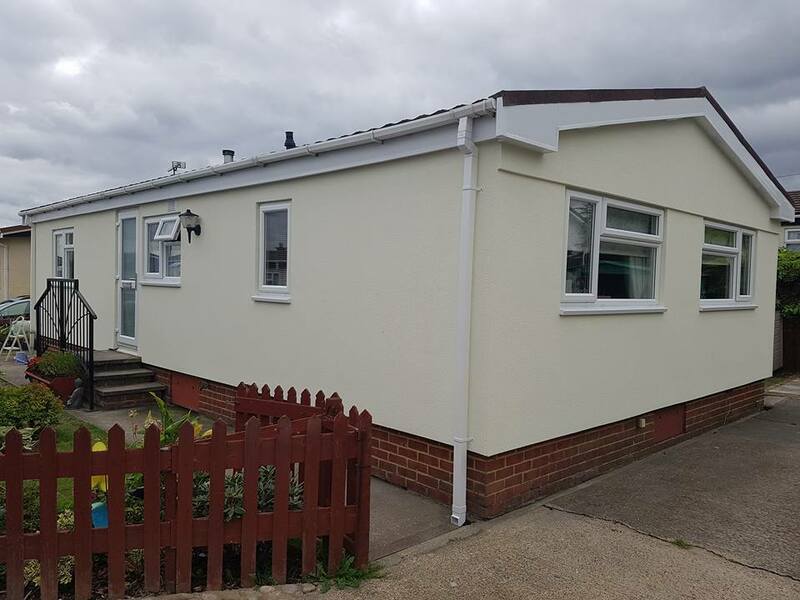 Prior to the work being carried out the park home’s exterior was very dark, now the home is bright, clean and modern, but more importantly warm, energy efficient and water tight. We were delighted to learn that Mrs Eske kindly recommended us to 4 neighbours (getting £200 in free vouchers! 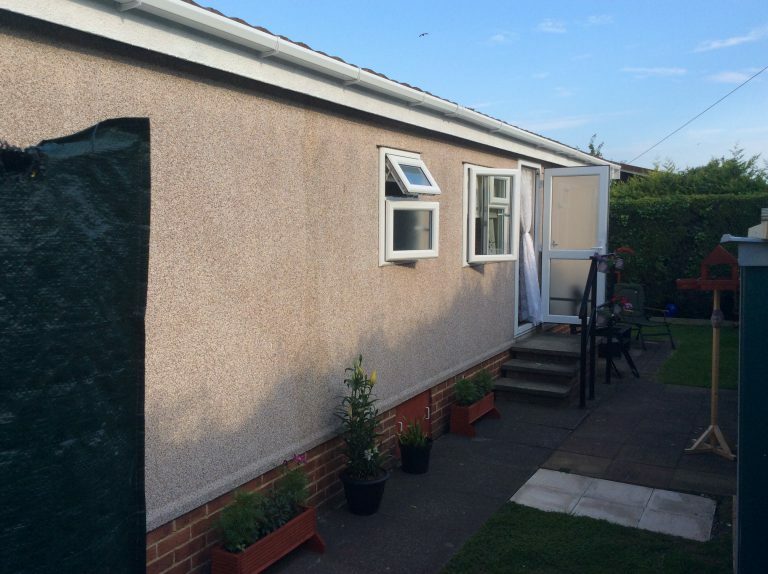 £50 per person she recommended) and was very happy with the work we carried out. Read more about park home roofline products or follow us on Facebook or Twitter for the latest offers, recent projects and park home ideas.